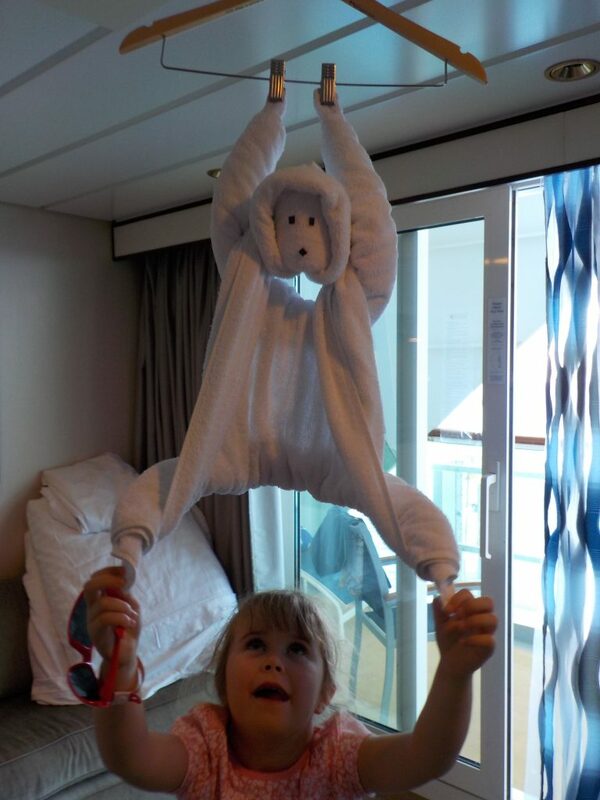 Do you Royal Caribbean’s best-kept secret? I suspect there are a number of answers, but cabins 1098 & 1598 on Radiance Class ships are likely to be on the list. 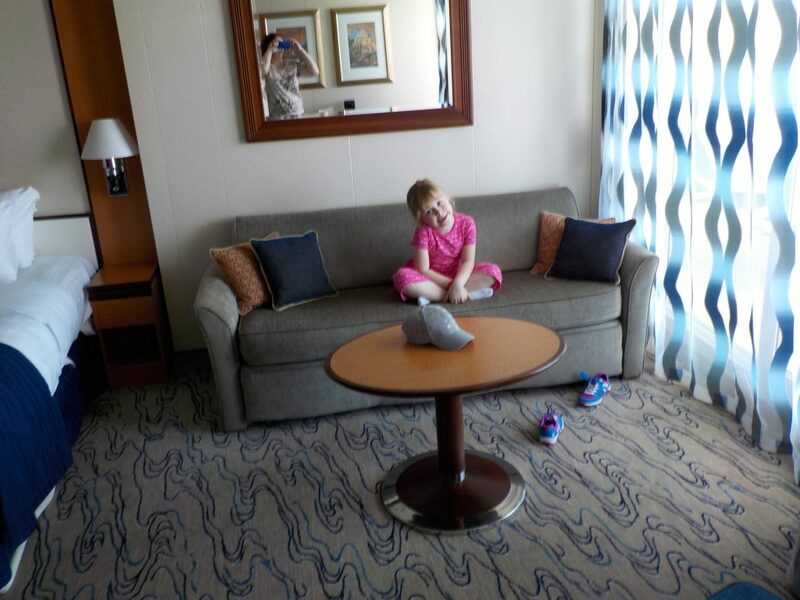 We review the Jewel of the Seas Junior Suite 1098 & explore why this cabin is a bit special. In addition, we have created a video so you can explore the cabin yourself. 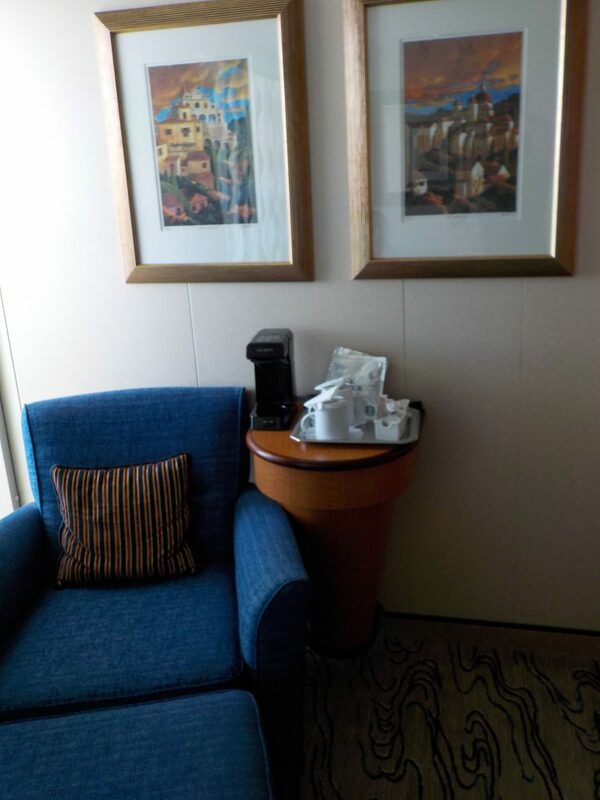 Jewel of the Seas Junior Suite 1098 is an interesting cabin in that it is advertised as having an obstructed view. 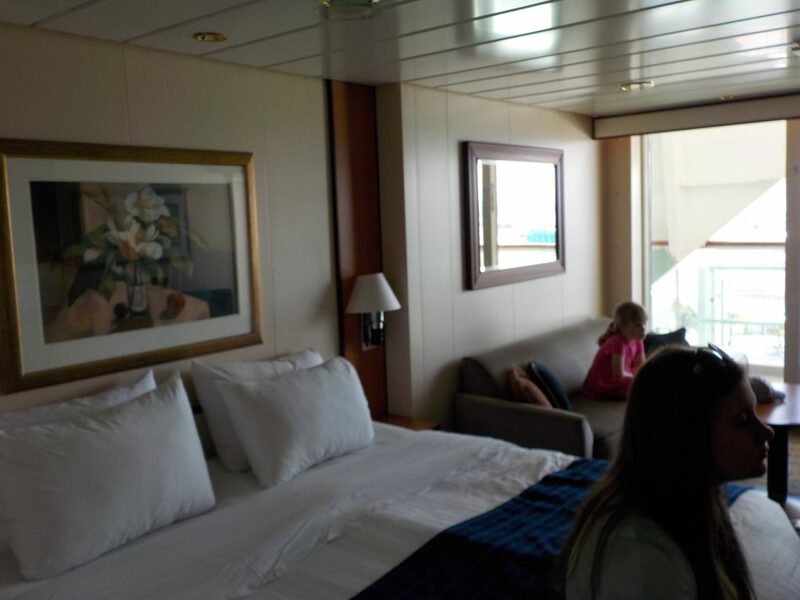 Likewise, Junior Suite 1598 on the opposite side of the ship is also advertised as having an obstructed view. Cabins 1098 & 1598 are the same on the other radiance Class Ship: Brilliance of the Seas, Serenade of the Seas & Radiance of the Seas. 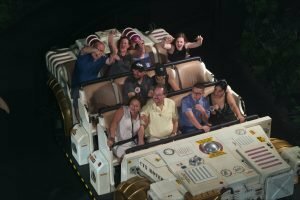 However, what is special about cabin 1098? In 2016 Jewel of the Seas had a Dry Dock and was extensively refurbished. Cabins were not excluded with new flat screen televisions and carpets throughout. The condition of the cabin is far better than could be expected on a ship launched in 2004. The cabin is well equipped including a King Size bed, coffee maker, television, hairdryer, desk and large sofa bed. However, you will find all the above in any Junior Suite on a Radiance Class ship. 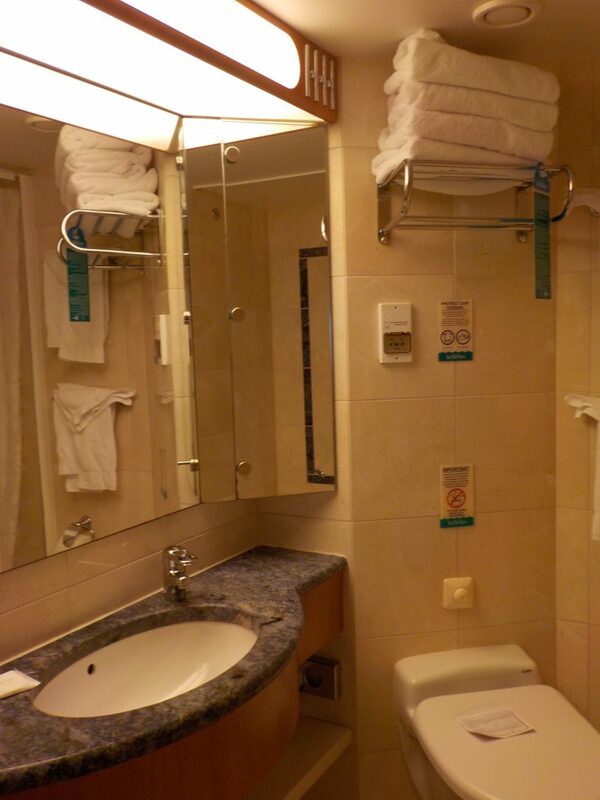 The bathroom is larger than in a standard cabin & includes a full-size bath with shower. 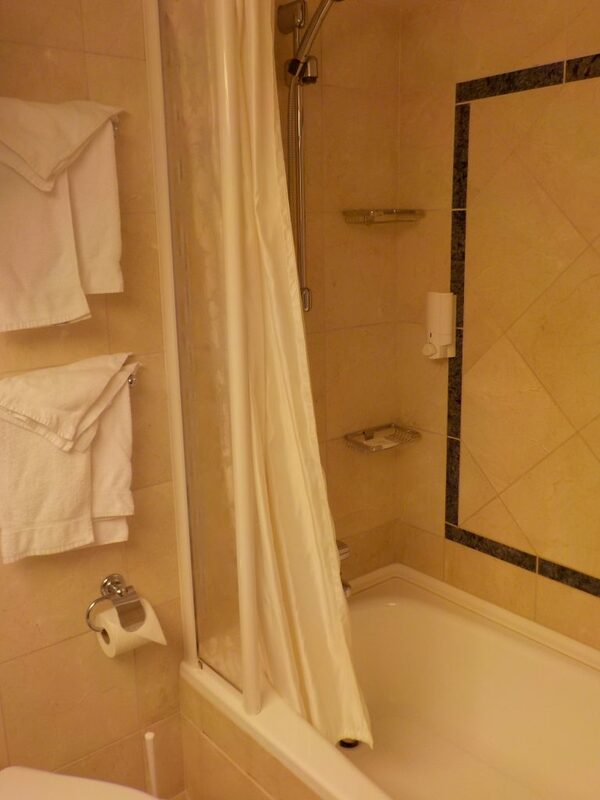 This is perhaps the greatest benefit of booking a Junior Suite. Although you get a larger cabin there are few extra perks linked with Junior Suites apart from priority check-in. Extra perks come with Grand Suite and above apart from some small additions on both Oasis and Quantum Class ships. 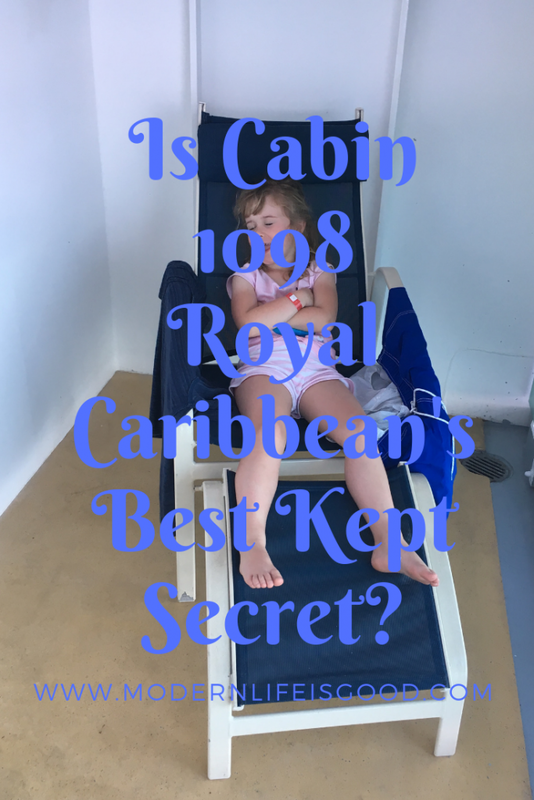 Why is Jewel of the Seas Junior Suite 1098 a special cabin? All Junior Suites are advertised as being 293 sq. ft. and the balcony being 41-66 sq. ft. 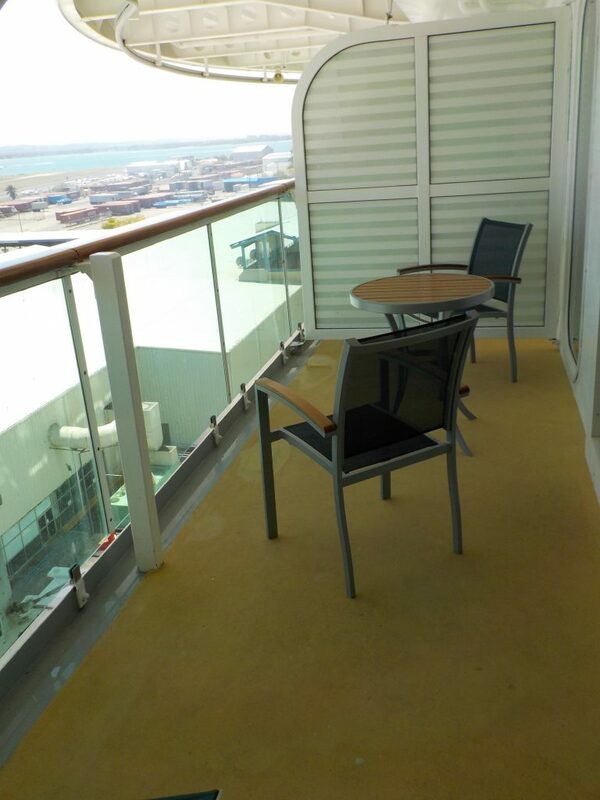 In comparison, a deluxe ocean view balcony cabin on Jewel of the Seas is 179 sq. ft. with a 27 to 47 sq. ft. balcony. Cabin sizes do vary throughout the Royal Caribbean fleet. Surrounding the advertised obstruction in Junior Suite 1098 it does not really exist! 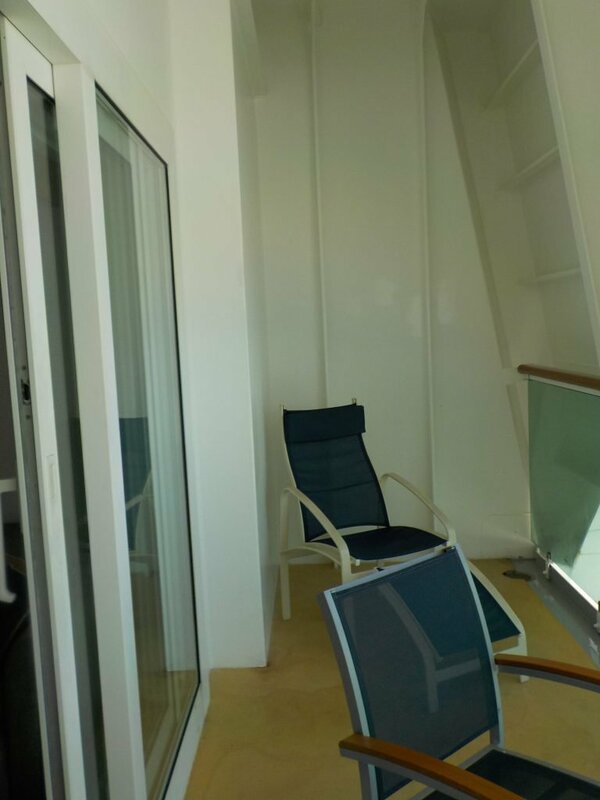 Both cabin 1098 and 1598 have larger balconies than the majority of Junior Suites and it is in this extra balcony space where the obstruction exists. This additional recess adds extra space but does not intrude on the usual balcony view. The extra space allows a recliner and provides a great shaded resting area or place to dry clothes. Our video provides a short review of the cabin and allows you to see the advertised obstruction in Junior Suite 1098. Remember cabins 1098 & 1598 on Jewel of the Seas, Radiance of the Seas, Serenade of the Seas and Brilliance of the Seas are all similar. Cabins 1098 & 1598 are usually the last cabins to book on Jewel of the Seas. Guests are often worried about the advertised obstructed view. However, you shouldn’t be put off as these are some of the best cabins on the ship. Is this Royal Caribbean’s best-kept secret? We think it might be! 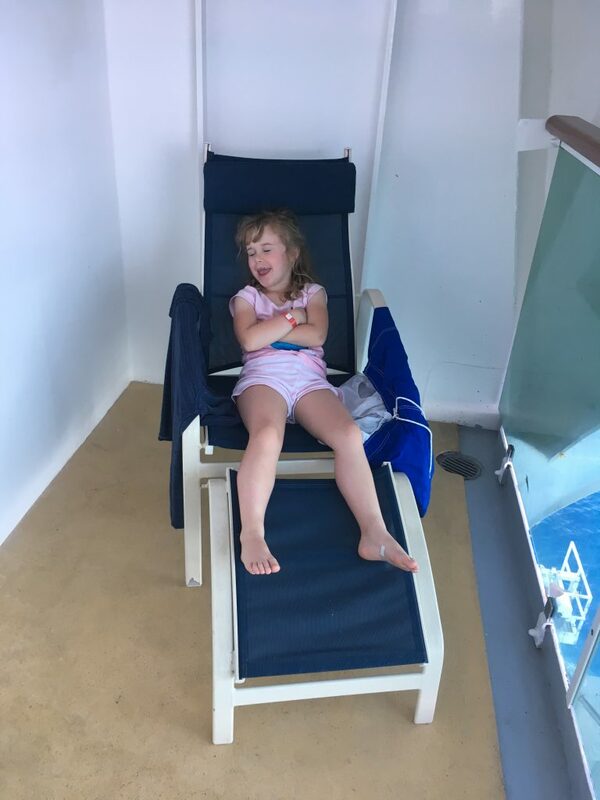 In our opinion, the Jewel of the Seas Junior Suite is a great choice if you want some extra space but are not interested in enhanced luxuries which you get with the high-end suites. We stayed in Suite 1098 on Brilliance 2 years ago. Agree it is a fantastic cabin & our little secret!